CPSIA woes, and how you can help! Due to the Consumer Product Safety Improvement Act (CPSIA) we have made the decision to no longer carry second hand children's clothing. This decision was not an easy one to make, as we love to be an affordable place to recycle your goods! So from now through the dreaded Feb. 10th we will be liquidating all used kids clothes. We WILL still be buying/selling used cloth diapers and maternity. We are just going to be taking the store in a slightly different direction in order to comply with the CPSIA. We hope you will stick with us, and work with us through our new growing pains. You are also welcome to email me if you have any questions and I will try to find you factual answers to all of them. Mishalla Cannon-DeGagne and the Boomba Toomba Family. Just poppin' in to let you all know that if you are searching for Small cloth diapers for a dang good deal, stop in the shop. We have a ridiculous amount of small & newborn diapers in our Used section. I am not kidding either, the amount is ridiculous. We also have mediums, and larges in Used. So if you are looking for an earth friendly way to really save some cash, stop in this week! Buying a holiday gift for someone on your list, from a locally owned business help sustain our local economy! 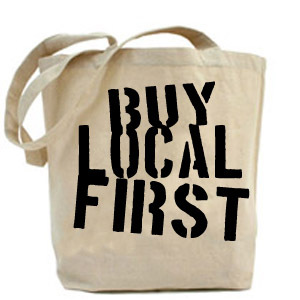 So think twice before your go out on your shopping ventures, and try a locally owned business first! If you are going to be shopping at Boomba Toomba this year, why not try some of our other local businesses in Uptown Village! We have many great businesses in our little neighborhood, like Mint Tea an imports gift store and now eatery that supports all things fair trade! We have music shops like Mermaid Music, and we have a GREAT vintage clothing shop called Urban Eccentric! If you need unusual antiquities, we have several antique shops, like Old Glory and the Uptown Attic! Have a young rocker in your family? try the Catalyst. We also have a skateboard/snowboard/bike shop called Bad Monkey where you are sure to find a great gift! While your down here, head in to Mon Ami and enjoy delicious Stumptown Coffee, Crepes, and Moonstruck Chocolates. They even sell Art by local artists as well! If you get hungry, there are some AMAZING places to snag a meal. If you want healthy Mexican food, I urge you to try Provecho. For a tastey trip to Italy, try La Bottega. And if you just need a slice of pizza heaven, feel free to grab a bite at Vancouver Pizza Co. Think twice, Shop Local First! Not your Grandma's craft fair! the most sweet, awesome, craft fair this side of the Columbia River! The 2Hand Revolution DIY Craft Show and Fair Trade Expo will feature handcrafted wares from local artists and an expo of fair trade and sustainability organizations such as Equal Exchange, Canaan Fair Trade, Cafe Femenino Foundation, Urban Farm School, Mint Tea Imports, Dee Creek Farm's Locavore Delivery System and the Vancouver Food Co-op. 2 Hands can turn the world around! 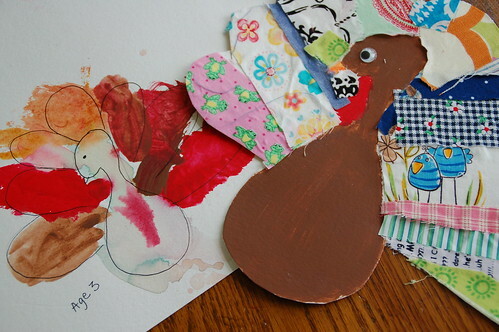 Take the HandMade Pledge this holiday season, and score some great gifts for our loved ones! This is a great way to support your local artists and crafters! and Boomba Toomba will be there! We will be closing the shop at 2pm on Saturday Dec. 6th to meet and greet at the 2Hand Revolution. For the love of food, we are closing our doors this Thanksgiving. Thursday and Friday 11/27 and 11/28. AWESOME one size pocket diapers! They are locally made in Mcminville, Oregon by a really nice Mama. Come in today and check them out. Like Lovely nursing covers, in darling designer fabrics! and fun purses for little ladies. We now carry an Applix closure PRINT diaper cover, by ReThink Crafts from Hood River, OR! ReThink Crafts has also adorned our shelves with Minkee lined mittens for kids. Very Comfy! for all those must have Holiday Gifts. Thanks for helping us make it to one. an hour earlier every day! Check out LilaGuide, and rate your favorite Mom things to do, buy, and eat! Read reviews from dozens of local businesses!